If you want a goldfish aquarium, then how you set it up is very important, as this will have an effect upon the time and effort needed to maintain the tank. 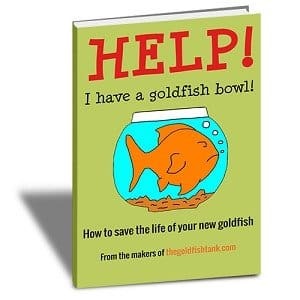 Below we offer some basics in setting up your goldfish aquarium. One of the most important considerations is where to place your tank. The three rules you should stick to are: do not place the tank in direct sunlight, in indirect sunlight, or in front of any strong light. Getting the lighting just right is very important. The best option is to place the goldfish aquarium away from any light source and to control the lighting yourself. Many lighting systems come with an electronic timer. If you want to have plants in your goldfish tank, then you need gravel to help bed them in. This ideally needs to be at least three inches deep and smooth. This will allow for excellent water circulation and help to keep the tank’s environment healthy. It is also best to use gravel that is dark in colour, as most goldfish tend to prefer this, as opposed to lighter colours. Do you need an aerator? Many goldfish owners believe that they need to use an aerator, but although useful, it is not necessary. The aerator will help to circulate water, helping to rid the water of carbon dioxide, but a filter also does this job. There are downsides to using an aerator – these include loud noise, vibrations that can disturb the goldfish and water dripping down the sides of the tank. As a novice, it is probably best to go without the aerator and to just use a filter. 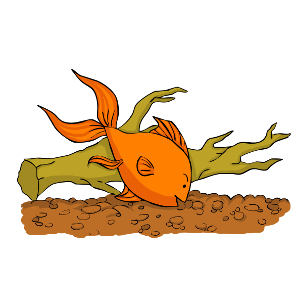 Your choice of plants is important with regards to goldfish care and wellbeing. You need to avoid plants that they can eat. Good choices are those of the Vallisneria species, Blue Hygrophila, Hygrophila Difformis and Ludwigia Arcuata. Your local aquarium supplier will be able to offer advice on the best plants to use. Good luck in setting up your goldfish aquarium.